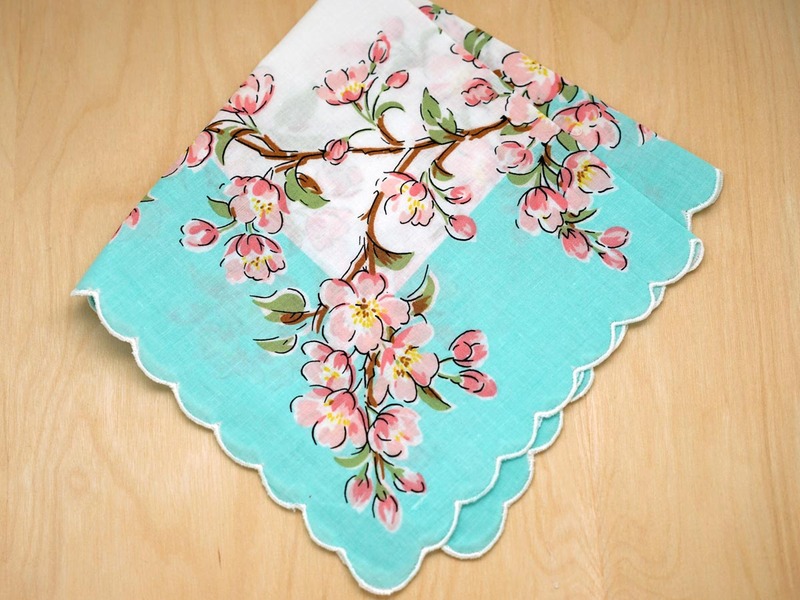 The cherry blossoms depicted in this beautiful handkerchief are truly lovely. The light pink blooms are highlighted wonderfully against the robins egg blue border. Cherry blossoms carry significance in many different cultures, but most relate to simplicity, elegance and rebirth. 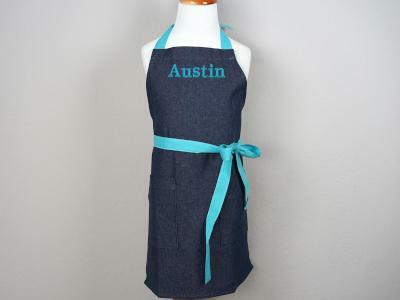 Makes for a perfect gift! 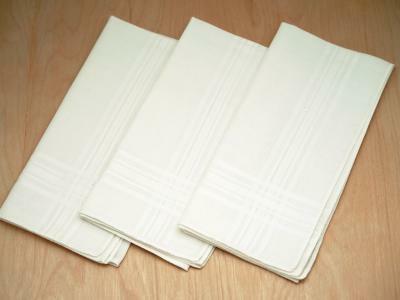 Measures 13" by 13" and made of 100% cotton. 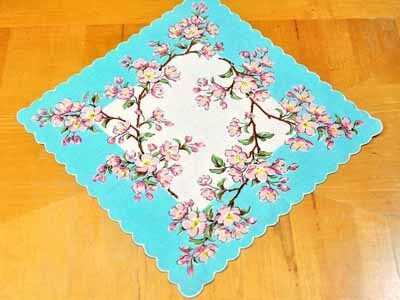 Vintage Inspired Pink Cherry Blossom Print Hankie Customers have rated this product	5 out of 5 based on 18 rating(s). 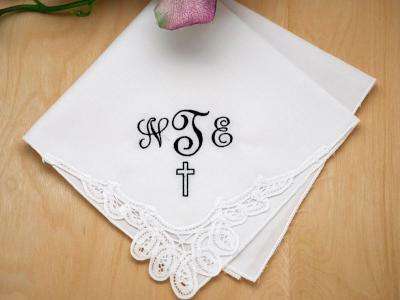 Both my sister and I love our new hankies! The fabric is so soft, and the cherry blossom print is just lovely! Thank you so much!.. Received quickly and in great condition. It is quite lovely. The picture does not do it justice. 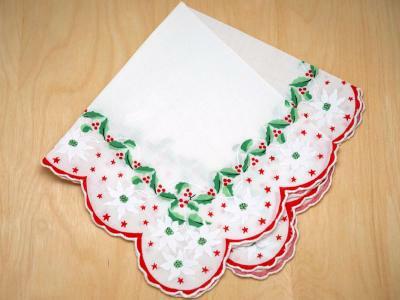 I received my hankies in great condition. I love the print and the size is perfect.